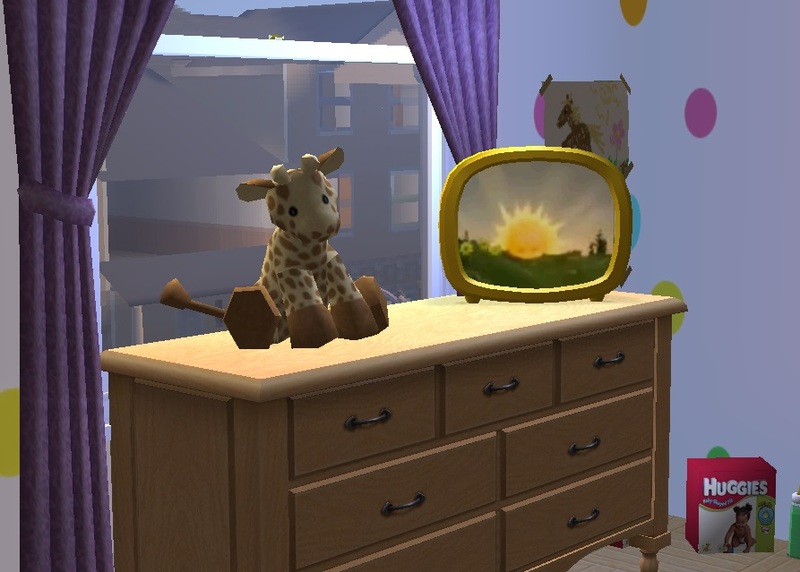 With the much anticipated release of NixNivis' Tube for Tots, I made my Simmy tykes their own TV channel to go with it, since, well, I couldn't see them being interested in SimStation Sports! Like my Discovery Channel, I've put together a collection of pre-edited clips to suit the channel. There are 25 this time, with none being longer than 2 minutes (keeps the game smooth and cuts down on file size). This part is completely optional. If you don't want it, simply skip the program packages. 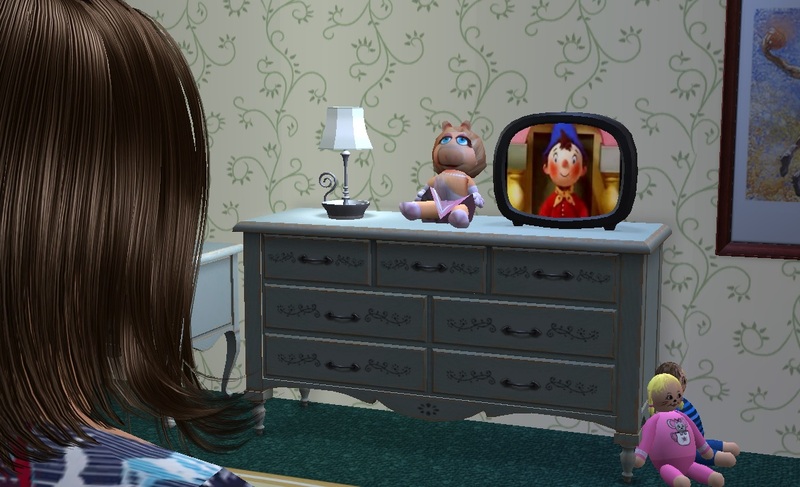 I tried to use the most toddler-esque shows I could find/remember, but the clips may not suit everyone as we all grew up with different things. It is there however if you want to save time finding your own clips, trimming, converting etc. Also, I've made a (very simple) channel ad that plays after each show, as I like my TV channels to be unique from each other and also realistic (just to note, I'm happy to replace the ad with something better if anyone wants to design something better, unfortunately I'm just not very artsy). Grab the TTTVAds package if you want this to play on your own clips. Just stick one or the other at the end of your show in Movie Maker. 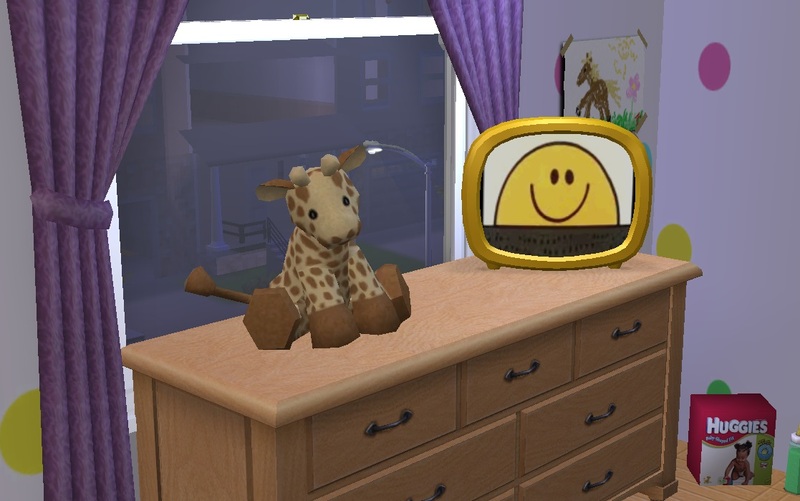 Note: Nix's TV isn't mandatory - it is cute to just have this channel play in the background while your littlens play with their toys. However, if you want them to actually watch the channel (which gains the usual fun), you must grab the Tube for Tots (get it here). I do highly recommend it personally. It is low poly and VERY cute! Unlike the Discovery Channel, Tiny Tots TV does not gain any skills, nor does it contribute any sort of hobby enthusiasm because none seemed appropriate. This is a global mod with it's own GUID so it shouldn't conflict with other custom channels or mods. Please let me know if you discover any so that others can be aware. Installation of a new TV channel is a bit different to dropping your file into Downloads. It may seem confusing at first but it really isn't. Just be sure to follow the directions below precisely. 1. Extract TinyTotsTV.rar and place it's contents into your Downloads folder, as you would other things. 2. 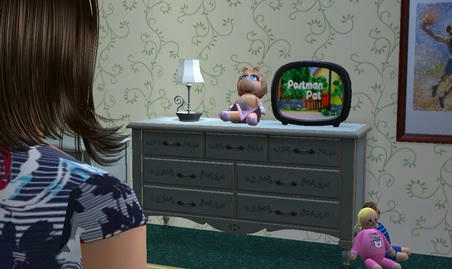 Go to C:\Users\YOURNAME\Documents\EA Games\The Sims 2\Movies\Broadcast. 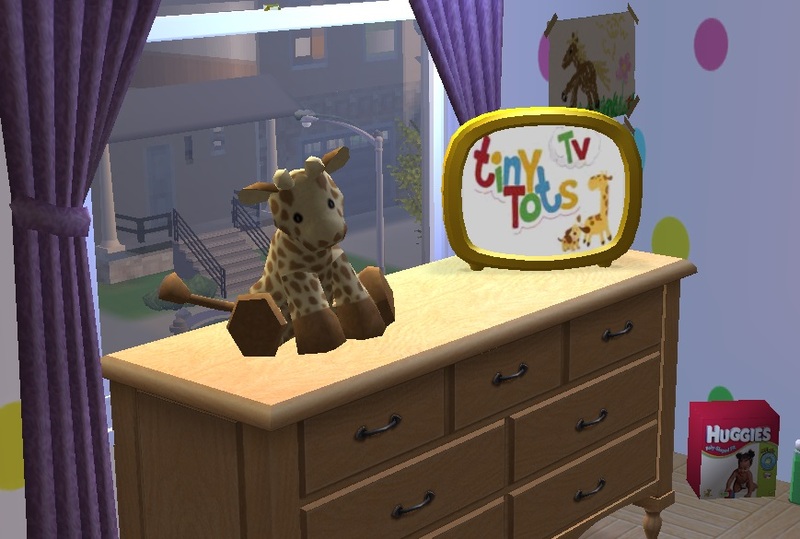 Create a new folder called "TvTinyTots" (without quotes). This is where your clips will go. 3. Go to C:\Program Files (x86)\EA GAMES\YOURLATESTEXPANSION\TSData\Res\UserData\Config. Open the text file called 'Broadcast', with Notepad. It is preferable to back up this file should anything go wrong afterwards. 4. You should see a numeric list of Maxis channels, and more if you've downloaded other custom channels. Go to the last number in the list. Add a new row with the next number in the sequence, then a "=" symbol, just like the others. After this type "tvtinytots" (without quotes). Make sure it is written exactly as typed within the quotes (i.e. lowercase and no spaces), or you may encounter problems later on. 5. Now go to the very bottom of the text, and paste the following. 6. If you want the channel to play commercials/adverts, paste the following below your last entry. Otherwise, skip this step. 8. This should be all you need to do. Now simply place your clips into the TvTinyTots folder that you made in Movies > Broadcast (step 2). Note: do not place subfolders here or in any of the broadcast folders - the game will not read the clips inside sub folders. If you encounter a flashing blue screen, repeat the steps above but within your University directory and your most recent Stuff Pack directory. Please do share your feedback, criticisms, and thoughts. I'm always open to changing or expanding ideas. I'm also happy to expand on the program collection, as long as I can find a good quality source of the correct aspect ratio for what you request. 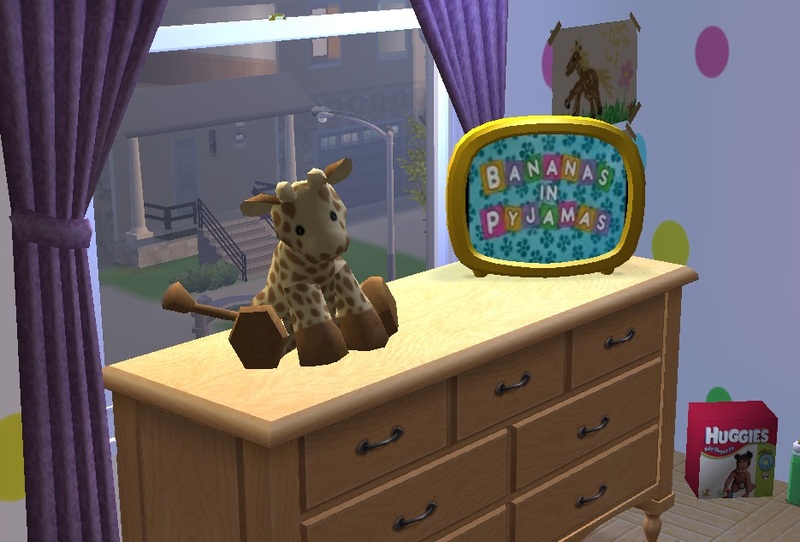 NixNivis from AffinitySims for removing hobby enthusiasm gain. Also for the very TV which makes this channel possible! Kevin MacLeod from incompetech for his two sound tracks ('Carefree' and 'Ambler') used in the Tiny Tots ad. AKARAKINGDOMS for the animals used in the Tiny Tots ad. Everyone who gave me suggestions for the tots' shows!